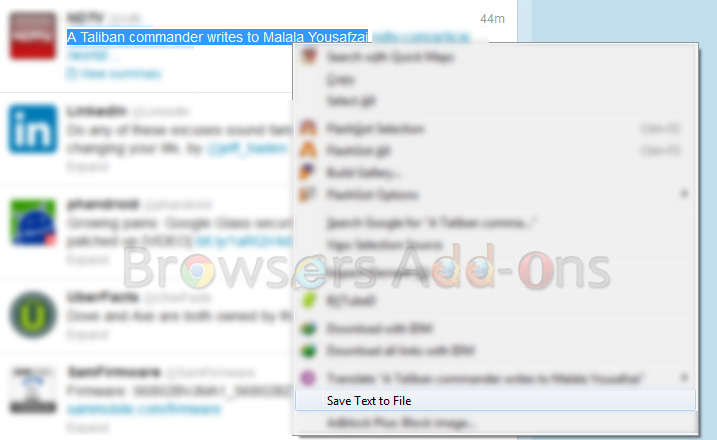 Save Text to File is a simple yet very useful extension developed for Mozilla Firefox by Robert Byrne. With one click, Save Text to File saves the highlighted text to local directory with Time stamp and Site Address. File names have the format userPreference––.txt . The and are optional and can be enabled/disabled through the extension’s preferences. So, you need not worry for source of that text. This extension will prove more help for researchers, bloggers and social media enthusiasts. Language support: English, Chinese, French, German, Japanese, Polish, Russian and Spanish. 1. 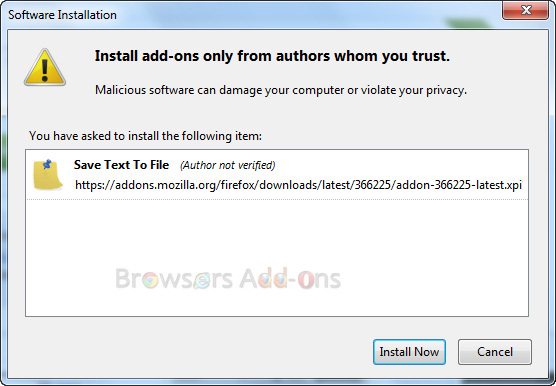 Go to Save Text to File Mozilla add-on page, or simply click on the above download link and click on “Add to Firefox“. 3. Save Text to File installation box pops-up. Click “Install Now” to continue installing add-on, “Cancel” to abort installation. 4. 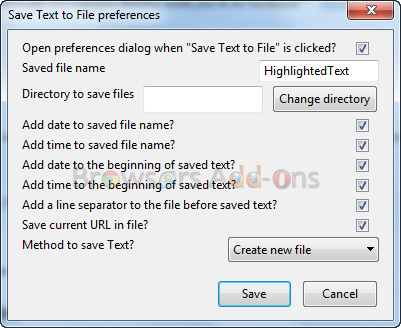 On successful installation, Save Text to File asks user permission to restart the browser. Restart the browser to activate the add-on. 1. Highlight the text to be saved with left click (LMB). Then right click (RMB) on the highlighted text and select the “Save Text to File” option in the menu. Shortcut Key “Shift” + “F1” can also be used to save the highlighted text. 2. On clicking, you get the preference pop-up where you can change the preference and path where the text filed is to be save. You can disable the preference pop-up on each saving by un-ticking “Open Preference dialog……“. 3. On saving the text file, you will be notified with pop-up. 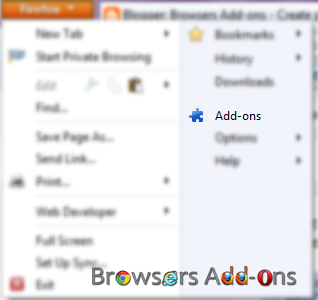 You can access the save preference via Firefox Add-ons Manager. Next story Download YouTube Playlists, Bulk Videos with BYTubeD for Mozilla Firefox. Previous story Get Google Chrome like Auto Language Translation for Opera with Translate extension.